Kim Jong Il: Doctored Photos? 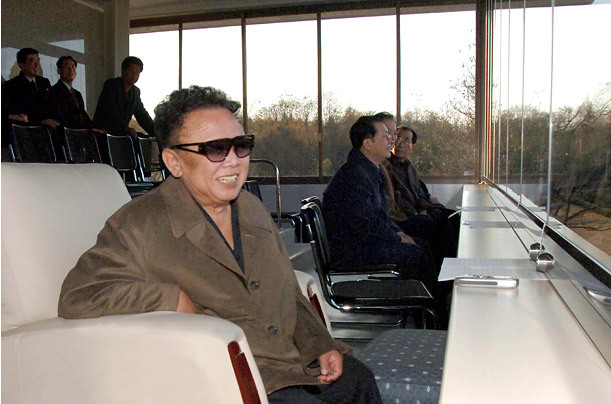 In an effort to stem rumors that North Korean leader Kim Jong Il has been felled by a stroke or has even died, the country's state-run media outlets have released a series of photos of him, reporting his attendance at a soccer game (allegedly shown in the photo above) and a concert. It is not clear when the photos were taken. This one was released on Nov. 2, 2008.